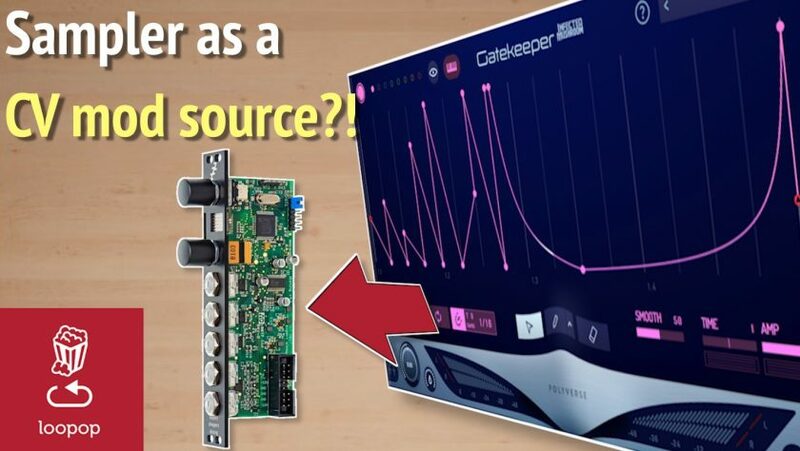 This video looks at two cool uses for Eurorack samplers as custom and rhythmic CV modulators rather than just for audio playback. The first method uses a sampler module with DC coupled inputs (Disting MK4 in this case) to record manual modulation and play it back. Motion sequencing is common place in DAWs and “DAWless” gear. This method shows how to bring manual motion sequencing to eurorack by recording it and then playing it back using a sampler. The second method uses common computer-based software to create deliberate rhythmic modulations, and then move them over to Eurorack by sampling their modulation waveform and playing it back in a Eurorack sampler with DC coupled outputs (BitBox and Disting MK4 in this case). There are multiple such custom waveform tools for PC and Mac. In this video I use GateKeeper from Polyverse and Infected Mushroom, which has a convenient CV output feature. Finally, the last issue I address is how to adapt these rhythmic samples to the tempo of your project. Luckily, most samplers will slow down or speed up the sampled waveform as you pitch the sample down and up. The challenge is to tune the sample to a specific pitch aligned with your goal tempo. The video discusses three ways to re-pitch waveforms to hit specific tempo targets. Next Post: Loopop Review: What is NDLR?